Hello again! Can you believe it’s already the end of July? How time flies in the world of Internet marketing; here are some articles to keep you in the loop: Sensible Social Media Checklist for Businesses v2.0 [Infograhpic]; Check Out These Changes To Content Experiments In Google Analytics; Smarter Internal Linking – Whiteboard Friday; 3 Steps to Website User Success; and The Evolution of Guest Posting. Are you optimizing your business’s social media presence in all the right places? Learn how to be sensible while sharing and effectively engaging your audience. This checklist will help you set attainable goals on the most popular social networks. Click the infographic to access a larger downloadable version. Back in June, Google’s Website Optimizer tool was replaced by Content Experiments in Google Analytics. 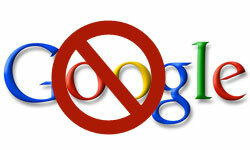 Since the announcement, Google has been gathering information to optimize this new feature to its full potential. One of the newest changes was created to support relative URLs. Read the article to learn more about the recent changes. With Google’s Penguin update it is important to be careful about how you are linking to the other pages on your website both internally and externally. Check out SEOmoz’s informative video and learn how to become smarter when it come to internal linking. Also, get pro-tips and stand out against your competitors. A website’s layout and functionality are essential in engaging and attainning new and returning visitors. Poor website designs are equivalent to having a messy storefront. It’s necessary that your website’s goals are properly conveyed to your visitors, not only through content but through design. Check out these easy steps to better your website’s usability. Guest posting is a great tactic in building brand awareness. The main idea of guest posting is to get posts with your site’s links placed on as many other websites as possible. Be careful of where you want your brand name to appear. Quality over quantity, the better the website the more prominent linkbacks will be received. In Week Two, Marissa Mayer Googifies Yahoo! Here I found another “week in internet marketing ” article. As always, a great collection of articles, and it helps me improve every single time. Thanks Vanessa! Thanks for the list. 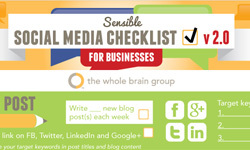 That Social Media Checklist is awesome. I haven’t really started using social media for more than personal use yet, but when I get ready to use it for business, that will be a valuable resource. I also loved the Internal Linking video. I will use some of that info one my blog. I am really glad I found this. This is a great weekly digest and I will definitely come back for more. I especially like the article on the Google Content Experiments. I had not heard of this before, but I can think of ways to try this right away. I’m glad you enjoy our weekly post! 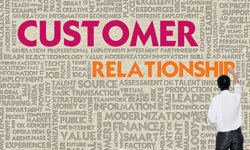 Check back next week for more hot topics in Internet marketing ! Thank you for these weekly updates, Vanessa. I’m finding it easier to stay on top of what’s going on in the internet marketing world without having to try to monitor tons of sites. You seem to be able to gather exactly what interests me into these updates. Tell me honestly, are you a mind reader? Keep up the good work! Haha, Yes Gomer I am a mind reader! Glad you enjoy the post! Come by next Tuesday for another round of This Week In Internet Marketing. Thanks for the comment!